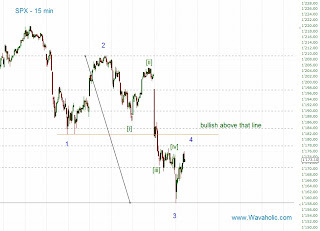 Already before the open the SPX made a new low, sold off and made a bottom 10 points lower. From there the market reversed sharply and is currently there where it closed yesterday. 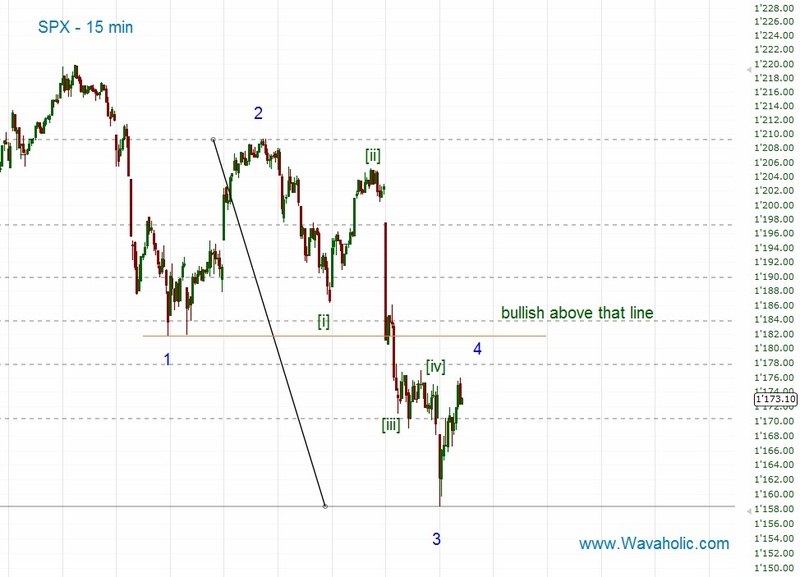 Today's sell-off in the morning should have completed wave 3. The important level to watch now is 1181.8, the wave 1 low. If we rally above that level all what we've seen since 1220 may have been only another A-B-C correction.